Angora rugs. Made from fine polyester yarn, this shimmering range of contemporary coloured rugs is simple gorgeous. Woven in superfine fibre, the light reflecting pile creates a stunning effect of sumptuous luxury. The yarn is tufted by hand in-to a canvass backing, then the pile is set with latex. This Range weighs 3200gr/m2. 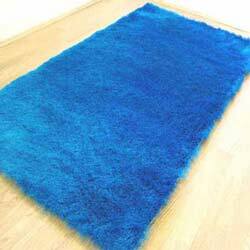 Angora rugs are handmade in China to a high standard. Available in four popular sizes and 9 colour-ways.